Yesterday all of our staff dressed up as their favorite super heroes for Halloween but on Tuesday Rosie, a senior in our high school academy, had the chance to visit a real life hero! 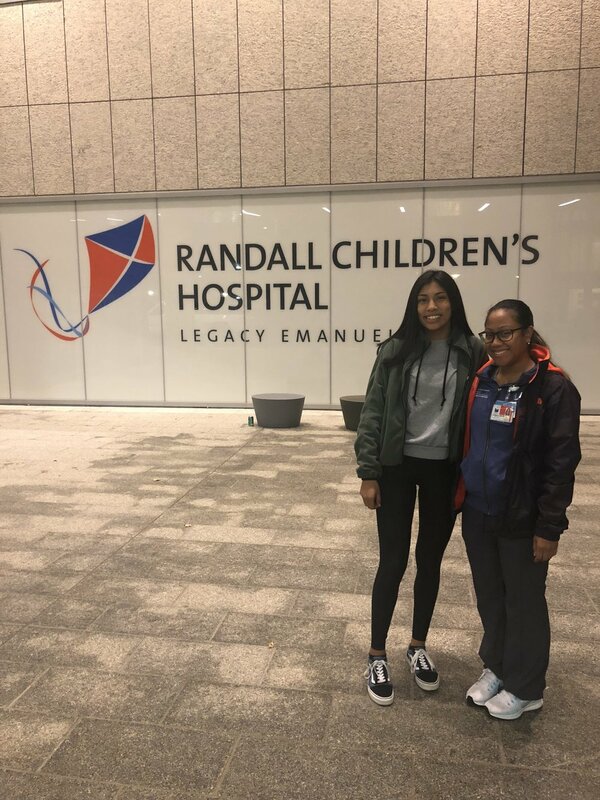 Rosie spent the evening shadowing "Coach Lu" at Randall Children's Hospital, where Lu works as a nurse in the Neonatal ICU (intensive care unit). Luehna is one of the hundreds of scholar athletes who have benefited from PT&E. 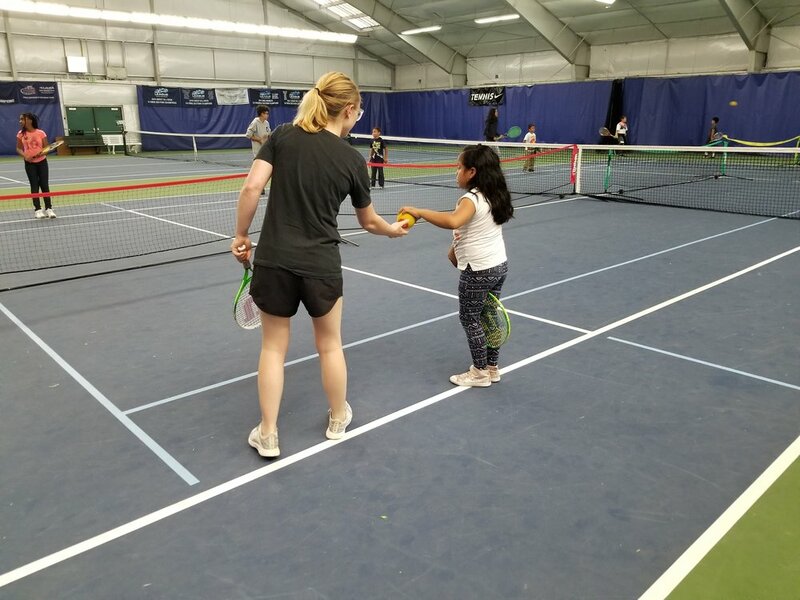 She was a member of the PT&E High School Academy and honed her academic and tennis skills at St. John's Racquet Center before graduating from Benson High School in 2011. 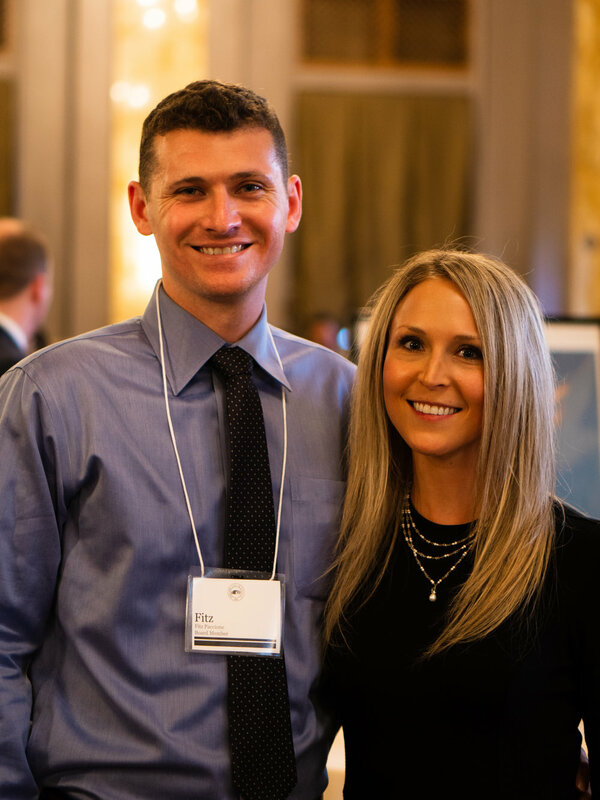 She attended Linfield College where she received a Bachelors of Science in Nursing and then came back to be a coach tutor at PT&E before continuing her career in medicine. 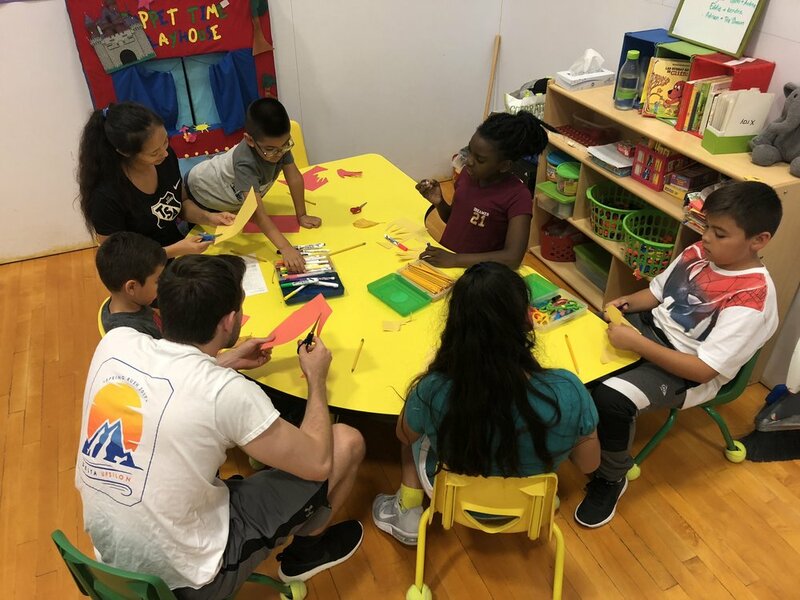 As Rosie quickly approaches graduation she is thrilled to have the opportunity to shadow PT&E alumni like Coach Lu who are living fulfilling and productive lives. Rosie plans to attend college next year and may pursue a degree in nursing just like our beloved Coach Lu! WE SENT OUR BELOVED COACH DANICE OFF INTO RETIREMENT IN STYLE! 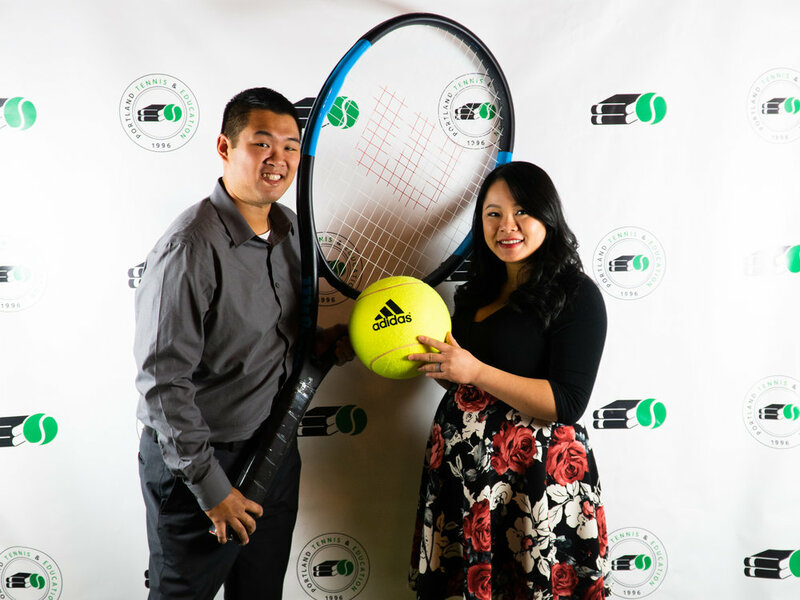 On Saturday, October 13th, we hosted our 3rd Annual Tennis Ball Gala. 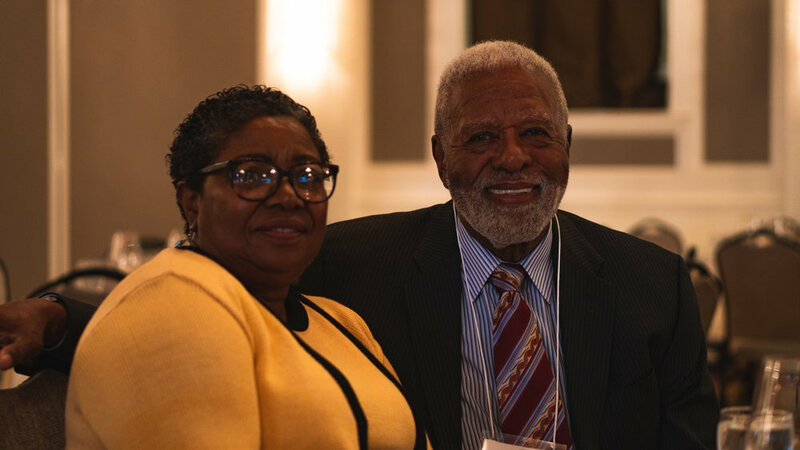 The night was filled with joy as we celebrated the illustrious career and impact of our recently retired Executive Director Danice Brown and raised money to support our Scholar Athletes. There was delicious food, fine wine, live and silent auctions, speeches and a surprise dance performance from our Scholar. We are excited to announce that... THANKS TO THE GENEROSITY OF OUR SUPPORTERS WE RAISED OVER $130,000 TO SUPPORT OUR SCHOLAR ATHLETES! Their investment means the world to the children and families who benefit from our academic, athletics, and life-skills programming! 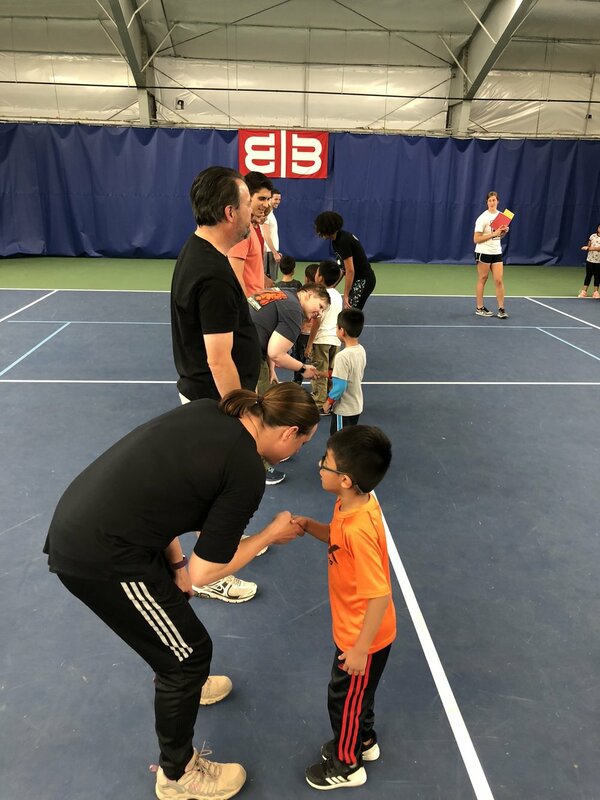 PT&E takes a well-rounded approach to improving the welfare of our community’s children, and your contributions give our Scholar Athletes the opportunity to receive the support they need to succeed in school and beyond. None of it would be possible without your support! 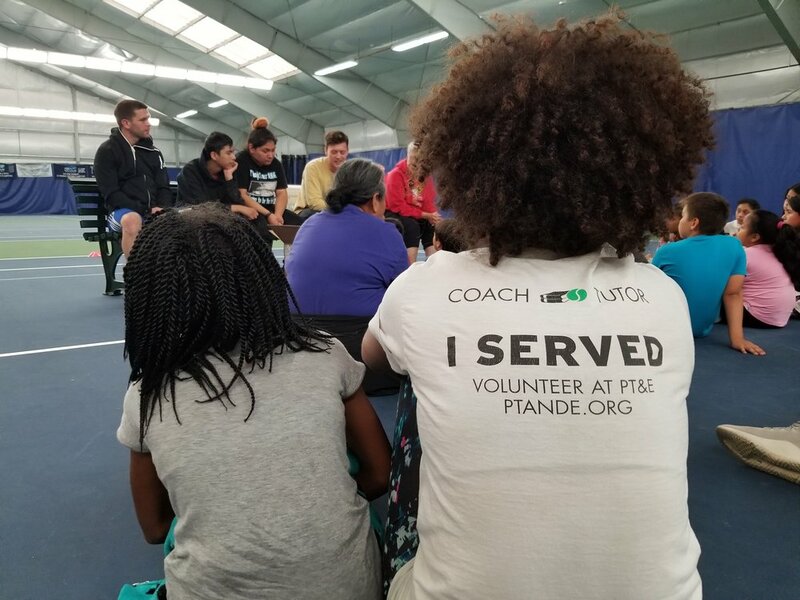 Thank you to everyone who made this magical night possible and an extra special thank you to the one and only Coach Danice for everything that you have done to make PT&E what it is today! 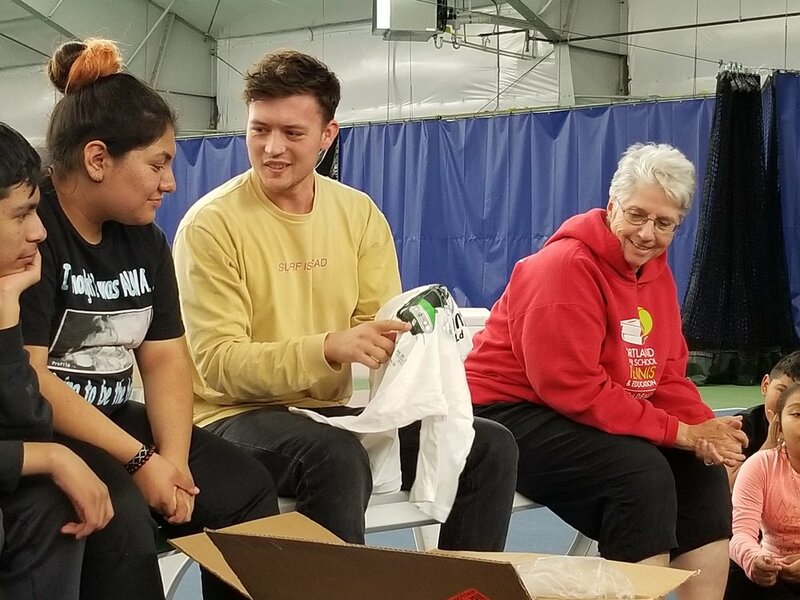 On October 6th PT&E Scholar Athletes and their families, board members, staff and former staff, and friends gathered together to celebrate the amazing work our beloved Coach Danice has done for our organization. 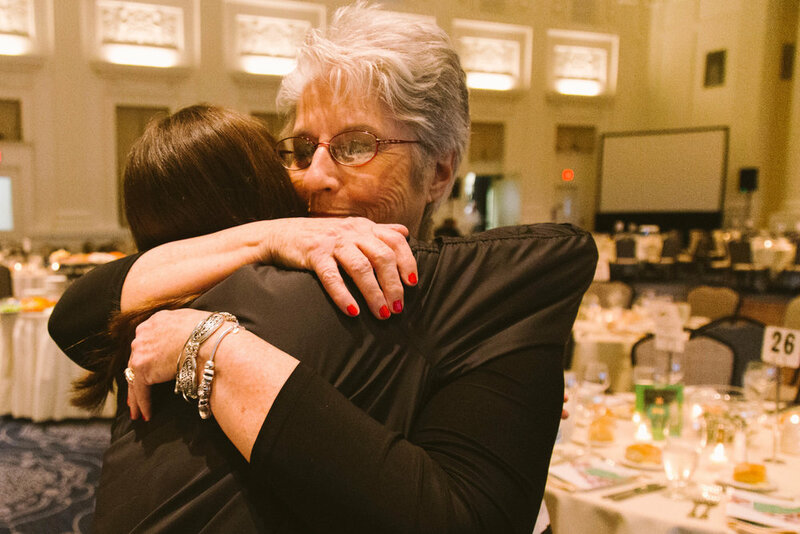 Her 11 years of service and leadership as Executive Director of PT&E has seen the organization transform into a holistic year-round program that impacts the lives of 1,500 kids each year. There was no way we could properly honor Coach Danice but we did our best as we rang in her retirement with a night of revelry. 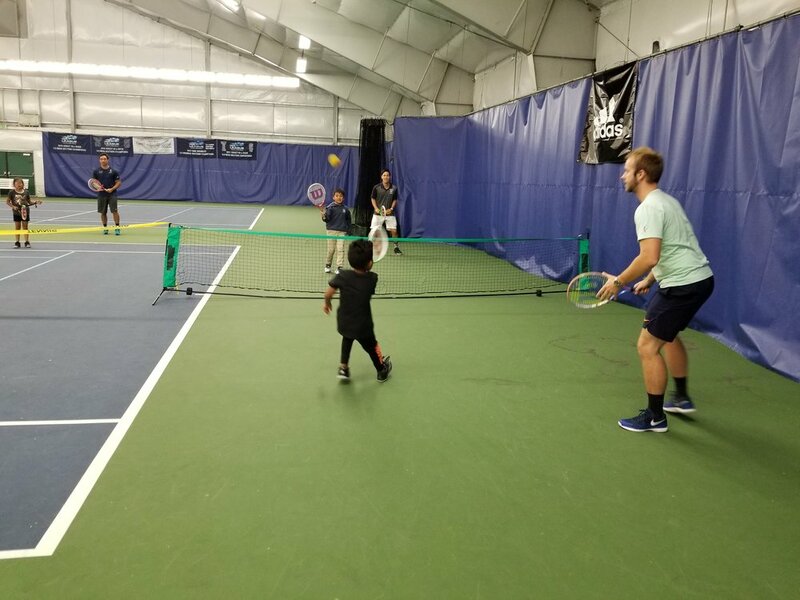 It was an evening filled with joy and reminiscing as we enjoyed delicious food made by our PT&E families, listened to music played by Scholar Athletes and of course, played tennis. 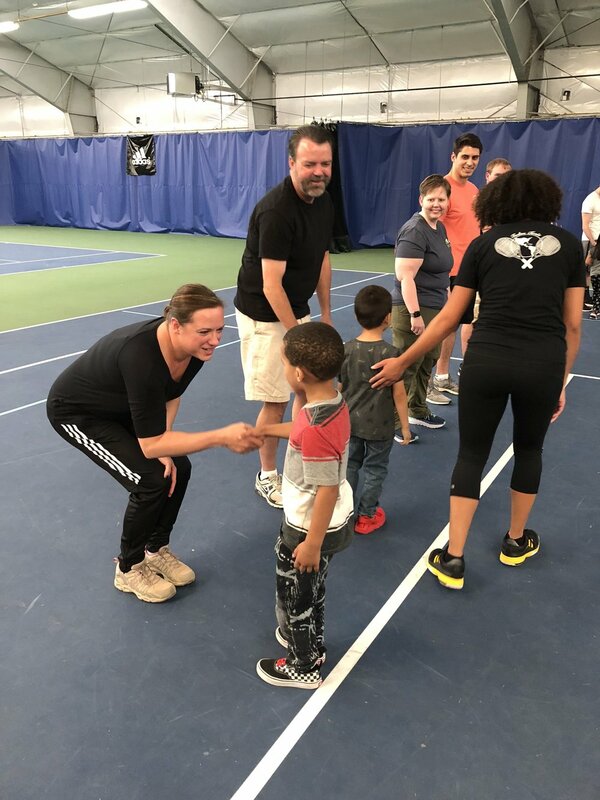 Court 2 at the St. Johns Racquet Center was renamed Coach Danice’s Court and Danice played the first point on the newly dedicated court (she ripped a shot past our new Executive Director Jorge Fuenmayor). 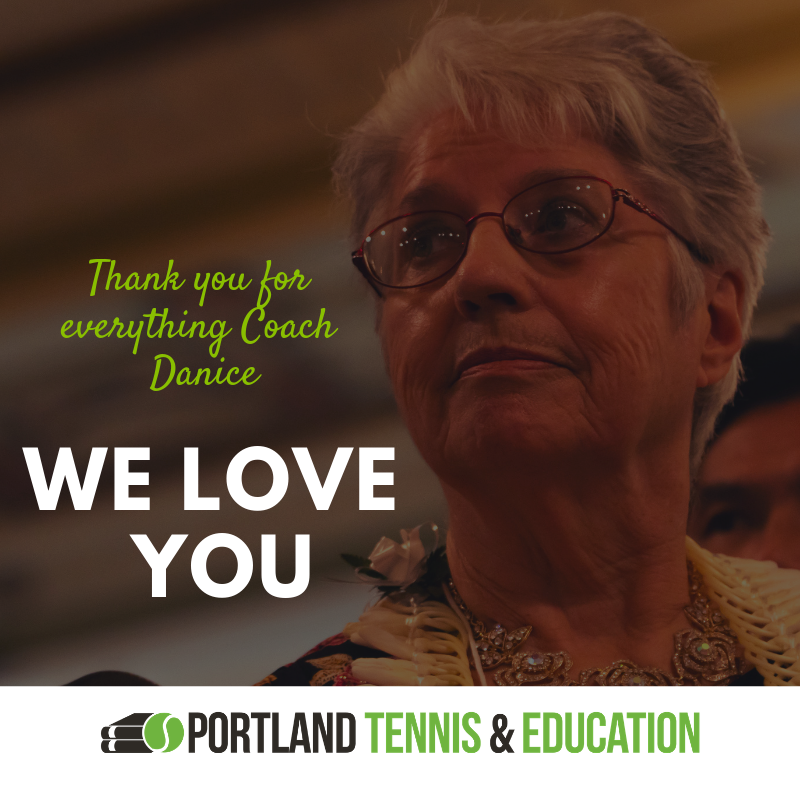 Words cannot express how much we love and appreciate you Coach Danice. 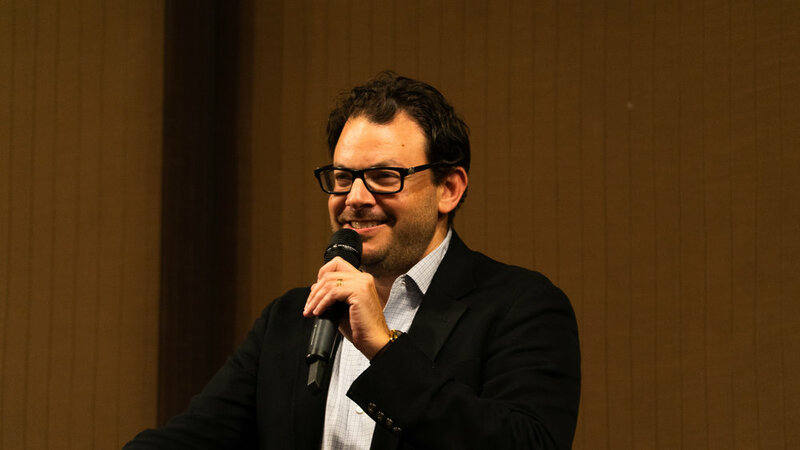 You have impacted the lives of every single member of the PT&E family. Have fun in retirement, you deserve it. 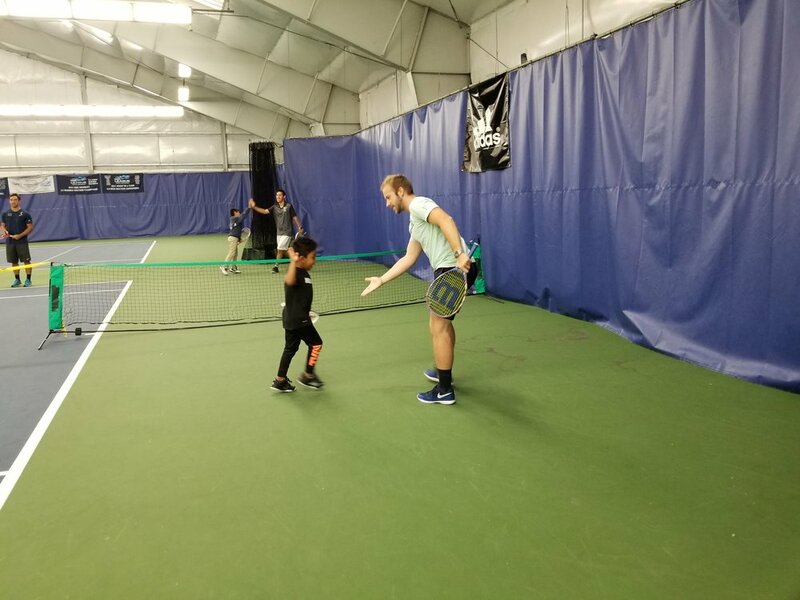 We know we will see you back at the St. Johns Racquet Center soon! 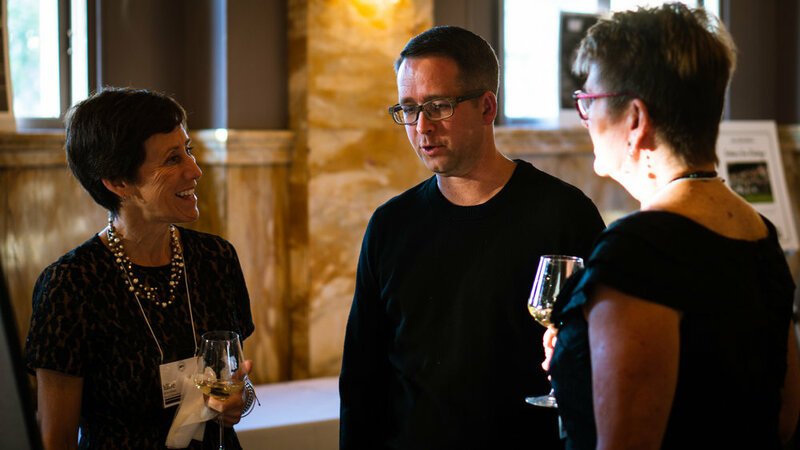 Check-out these photos from the evening as well as a few throwbacks from Danice’s 11 years at the helm of PT&E. 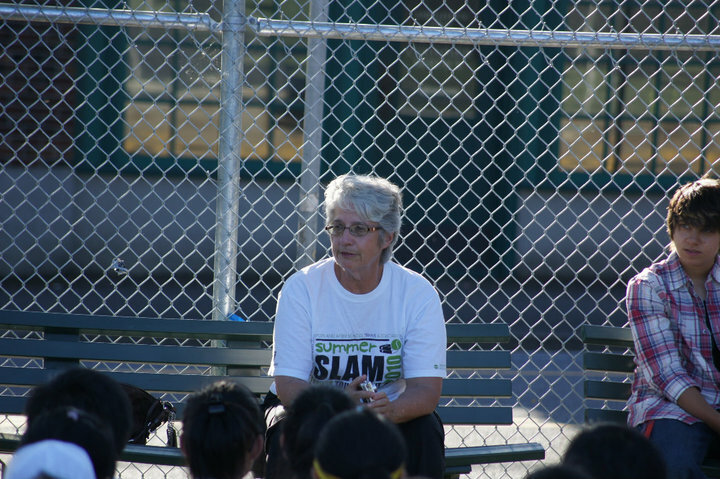 Two adidas staff members visited PT&E on Friday, October 5th, to unveil our Summer Slam Series T-shirts. 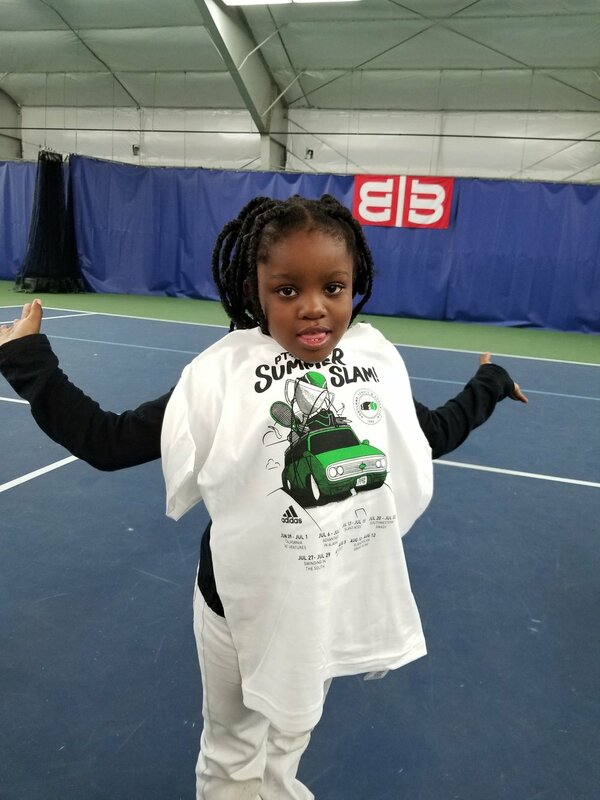 Two of our Scholar Athletes, Bryan and Destiny, worked in conjunction with a team of designers at adidas to create these special shirts inspired by the “road trip” we took during program this summer. 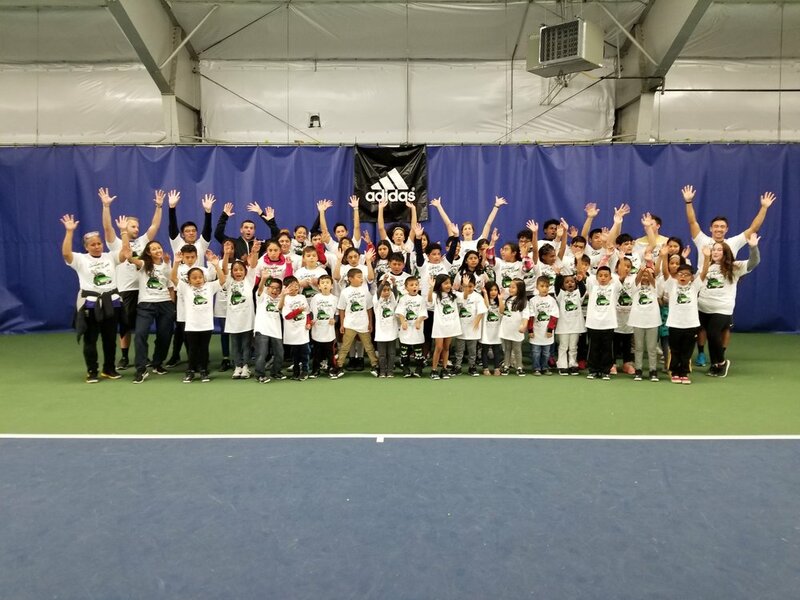 We are very thankful for adidas who generously donated their time and resources to make these shirts a reality and to Destiny and Bryan who worked hard to create these masterpieces. As you can see from the smiles on the faces of our Scholar Athletes they were very excited for their new swag! 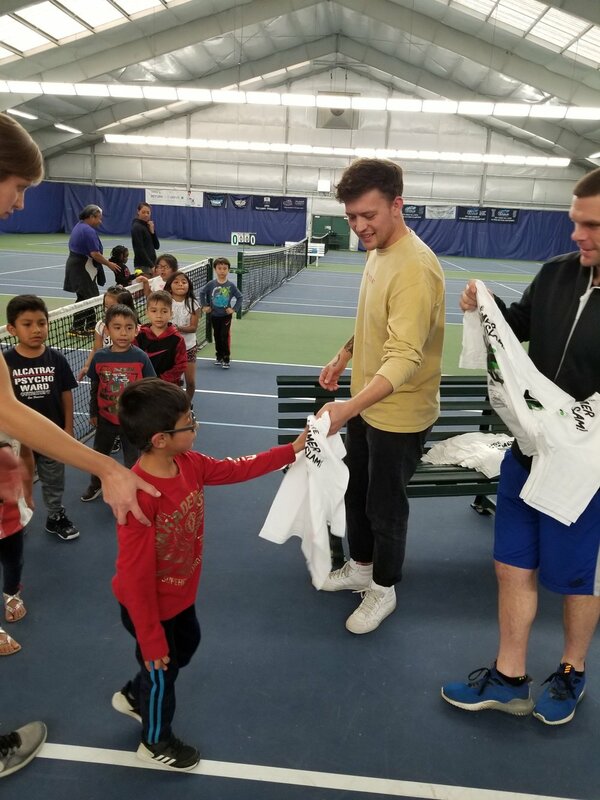 Yesterday our Scholar Athletes welcomed a group of volunteers from the KPMG Portland office to our after school program. 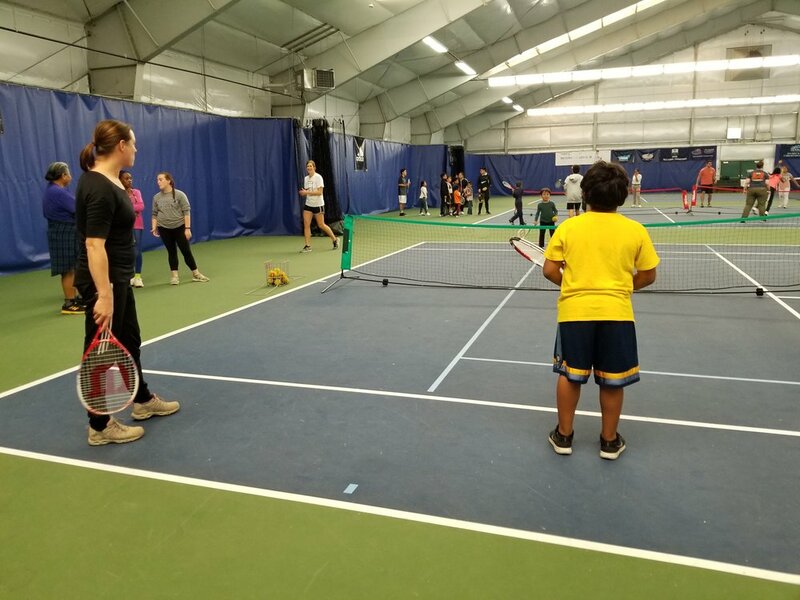 Together the Scholar Athletes and volunteers developed skits about fall, worked on a collaborative art project and of course played tennis! Our Scholar Athletes had a wonderful time getting to know our volunteers and showing off what PT&E is all about. Thank you to everyone from KPMG who made this day possible. We hope to see you all soon! The summer cohort of Passport Oregon wrapped up this weekend with a breathtaking trip to the Oregon Coast. The Scholar Athletes hiked and played at Oceanside beach where they explored tide pools, seeing sea creatures such as sea anemones and star fish, played frisbee, built rock towers and sun bathed along side a seal. 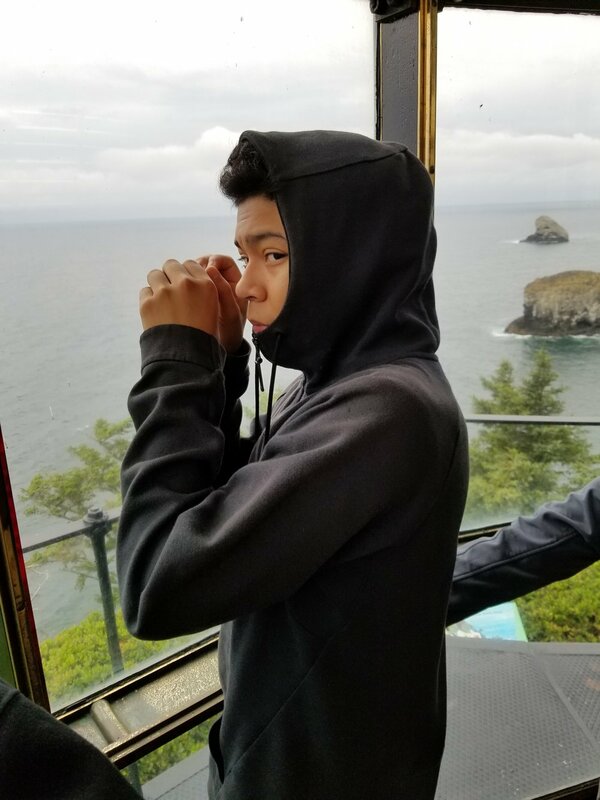 After that they checked out the historic Cape Mears lighthouse and visited the new and improved Tillamook Cheese Factory. 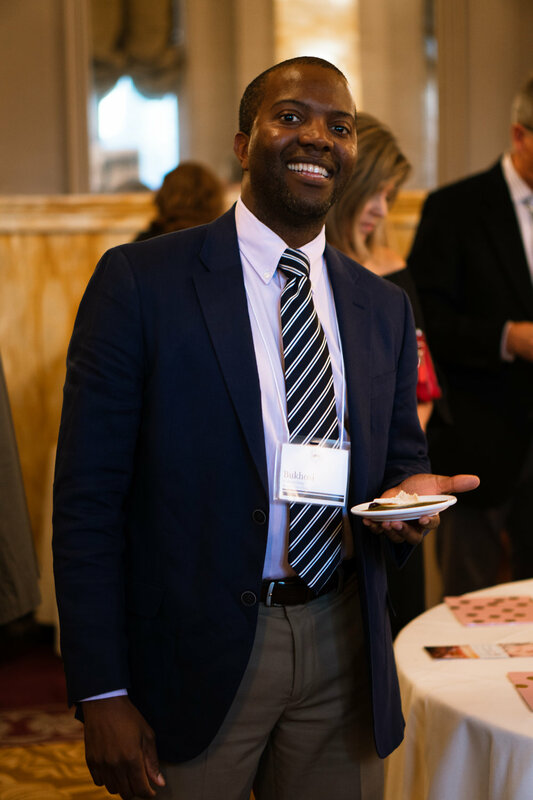 It was a great way to wrap up this round of Passport Oregon trips and we can’t wait to start them again this coming fall. 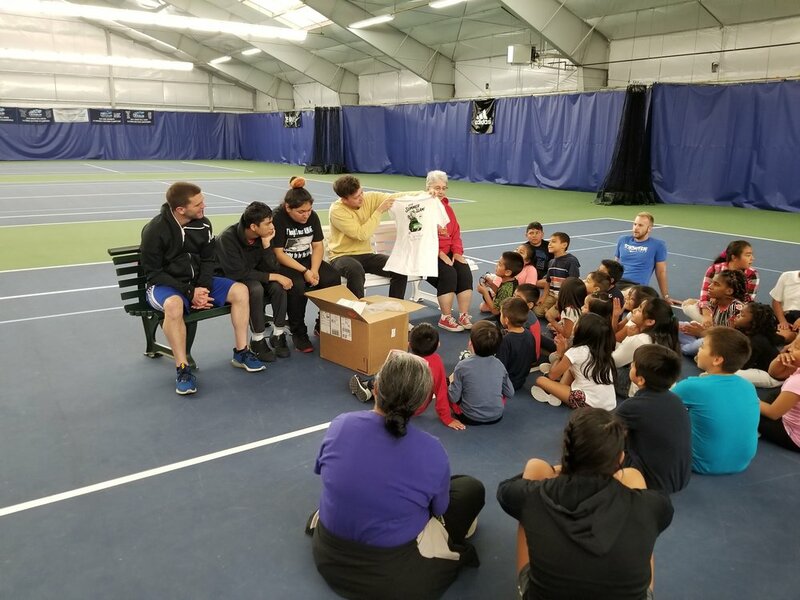 We are thrilled to have taken 24 of our Scholar Athletes on Passport Oregon trips so far this year and look forward to helping facilitate more adventures this fall! After two weeks off from program to adjust to the new school year our Scholar Athletes returned on Tuesday! There were smiling faces all around as coaches and scholar athletes were reunited for the new year. We are excited to have kicked off the 2018-19 school year! On Wednesday, 8/29, 50 members of the PT&E family went to see the Portland Timbers thanks to a generous donation from adidas Social Purpose Department. Scholar Athletes, their families, coaches and PT&E supporters looked on as they watched the Timbers take on MLS champions Toronto FC. It was the first Timbers game many of our Scholar Athletes and their families had ever attend and they had a wonderful time cheering the team on to victory! A huge thank you to adidas for this kind gift and for once again generously supporting our family! 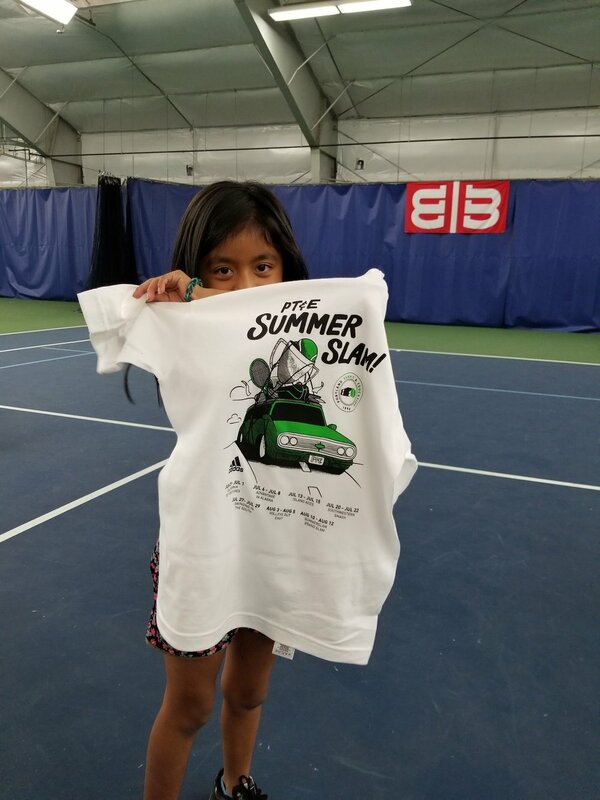 This past weekend we had our final Summer Slam Tournament of the year. We are proud of all of our Scholar Athletes who played their hearts out this weekend and throughout the summer. Congratulations to Rosie, Felipe and Damion for winning their respective age groups! Thank you to everyone who participated in our tournaments this summer! Our Passport Oregon cohort has been in full swing this summer. Our Scholar Athletes have had the chance to visit Hoyt Arboretum, the Columbia River Gorge, the Oregon Coast and Silver Falls. This is the youngest Passport Oregon cohort ever and these junior explorers have had an excellent time getting to know some of our states most beautiful parks. 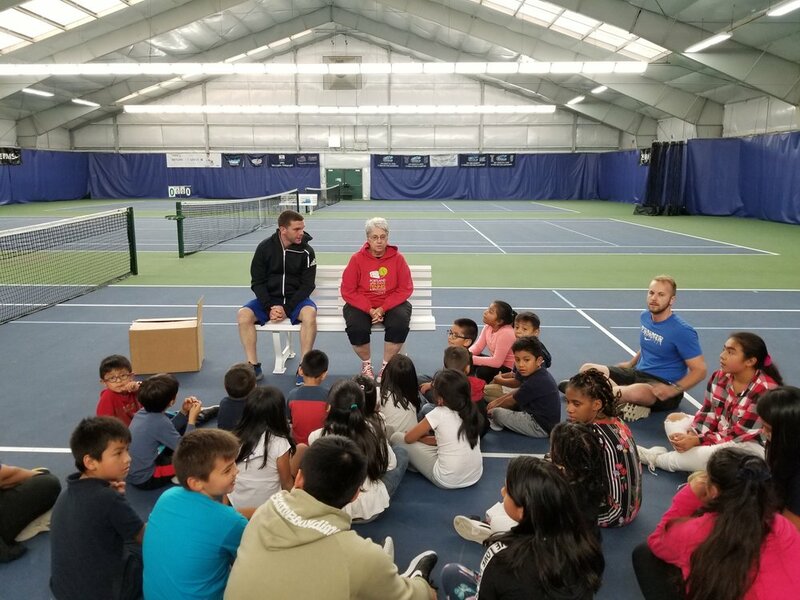 In the fall we will be partnering with James John Elementary School and extending the impact of our Passport Oregon program to students from our local elementary school.